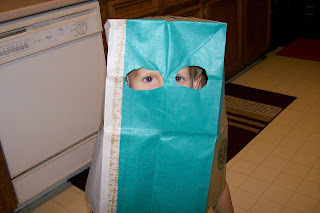 Dawson had the greatest time running around the house with this bag on his head. Originally, it didn't have cut-out holes for his eyes, but he was still happy meandering through the house and trying to dodge all the furniture. The eye holes made that task much easier.